Everybody knows that the appearance of the teeth and gums can have a huge impact on the self- confidence. When you meet people, talk to friends and get together at the family occasion, the yellow, disfigured teeth can make you feel self- conscious. The sharp, uneven and broken teeth can give an impression of you being unhygienic and you definitely don’t want that. Getting them treated can improve the appearance and also help boost your confidence. Sharp teeth can be a result of tooth decay. Tooth decay occurs when acid is produced from plaque that builds up on the teeth. If it is left unattended it can lead to further problems as dental caries, gum disease. l Tooth decay makes the root open to bacteria attack which open the nerves. This leads to sensitivity. Sensitivity is the tenderness you feel when eating or drinking something hot or cold. l Tooth decay can turn the original colour of the teeth as grey, brown and sometimes even black spots start appearing on the teeth. l Bad breath is perhaps the first sign of serious dental health issue. As the bacteria starts attacking the mouth, it leaves it with unbearable bad breath. l Sometimes tooth decay even leaves you with an unpleasant taste in the mouth. As the decay affects the outer and the inner surface of the tooth, the bacteria also effects the taste buds hence leaving behind an unpleasant taste in mouth. In case of any such conditions you must rush to the doctor. 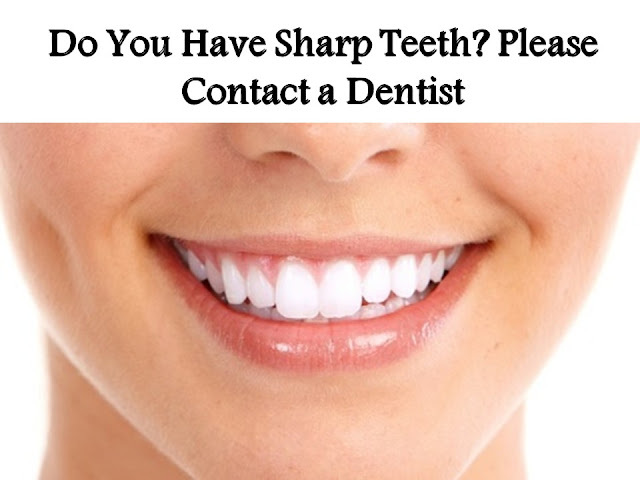 Problems like sharp, crooked tooth can be treated with the help of cosmetic surgery. It is painless and is believed to be quite effective. Rush to the best orthodontist in Delhi and get yourself an appointment. The treatment and the cost of the treatment depends of the severity of the condition. l If its an early stage then a fluoride gel can help you with it. When you visit the dentist for the treatment he might talk to you about the diet and the kind of food you can consume can have a huge impact for those teeth. A change in diet, and addition of fluoride can help cure the tooth decay. Fluoride gel strengthen the enamel and make them more resistant to acids from plaque. l Second comes filling and crowning with you. The process involves removing the dental decay and then filling the hole. It is a painless phenomenon and is done after giving the patient local anaesthesia. l The condition is little severe when the decay spreads to the pulp. This is when you need to get root canal. When root canal is treated, the pulp is removed all the canals and chambers are filled and sealed to prevent bacteria from entering the mouth. l If the tooth is badly damaged then it cannot be restored. That is when the dentist needs to remove the tooth. After that he may be able to replace it with dentures, implants or bridge. Sharp teeth can be harmful for the tongue as well. When they come in contact with the tongue, they leave a mark. This can make it difficult for you to have food, especially acidic food. Sharp teeth can be rounded with he help of surgery. Once treated, you can have your perfect smile back, which would also help you gain back your confidence. Good teeth helps you create an effective and a long lasting impression in your friends an family and also speak about your hygiene.